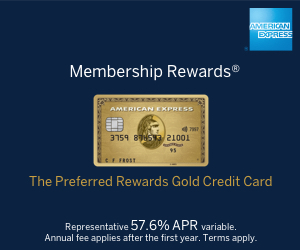 The American Express Preferred Rewards Gold credit card is a hugely popular card among miles and points collectors in the UK. This is because of its generous sign-up bonus, two free airport lounge passes and the lack of a fee for the first year. Our main article reviewing the American Express Preferred Rewards Gold credit card is here. You can learn more and apply for the card via the Amex website. How to earn 10,000 Avios points – or other miles – as a sign-up bonus with American Express Gold! What is the best credit card for foreign spend when someone else is paying?